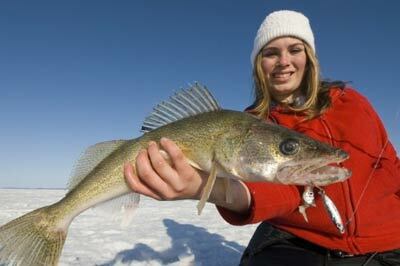 Lake Abitibi is among the preferred fishing destinations within Quebec. There a variety of Lake Abitibi fishing guides and Lake Abitibi fishing charters that can help you catch that award-winning fish you have been trying to find on your latest fishing adventures. Lake Abitibi is a lake in northeastern Ontario and western Quebec, Canada. The lake is separated in two distinct portions by a short narrows, making it actually 2 lakes. The lake is shallow and studded with islands. Its shores and vicinity are covered with small timber. 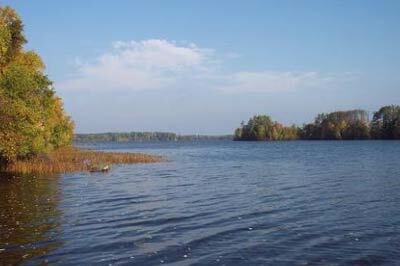 Its outlet is the Abitibi River which empties into James Bay through the Moose River. “Abitibi” means “middle waters” in Algonquin, a reference to its geographic location halfway between James Bay and the Ottawa River. Rivers to the north flow north towards Hudson Bay and rivers to the south flow south towards the Saint Lawrence River. In the old days, the Hudson Bay Company used it as a canoe trade route to the furs of the north. Nowadays your Lake Abitibi Fishing Guide will show you why it’s such a popular fishing destination. Contact us for Lake Abitibi Fishing Guides and charters or any other locations in Canada, Mexico or even the United States. Reel Adventure are your Fishing Charter and Fishing Guide professionals and we are here to assist you with all of your fishing desires, from locations and attractions to basic details and news articles.